Graduates looking for a career in the increasingly influential area of Big Data have the opportunity to apply for fully-funded places on a University of Stirling Masters course, designed to equip them with the skills demanded by employers. The Scottish Funding Council is funding 10 places on the course, which will enable eligible Home or EU students to have their tuition fees paid for them. The funding is part of a drive to meet an increasing demand for Big Data skills, which are seen as vital for economic prosperity. Kevin Swingler, Big Data MSc Course Director, said: "Harvard Business Review recently claimed that Data Scientist was the 'sexiest job of the 21st Century' because there will be hardly an aspect of life it does not impact. "Over 90% of all the data in the world was created in the last two years and in the near future, sensors will constantly generate data about our health, our shopping habits, our location, our energy usage, even how worn out our washing machine is getting. All of this data will be stored and analysed and used to make our lives better. "There are technological challenges, but also moral and ethical questions about a world where everything is measured and analysed. The University of Stirling Big Data MSc addresses these questions." The one year course, starting in September 2015, is a full-time taught advanced Master's degree, covering the technology of Big Data and the science of data analytics. 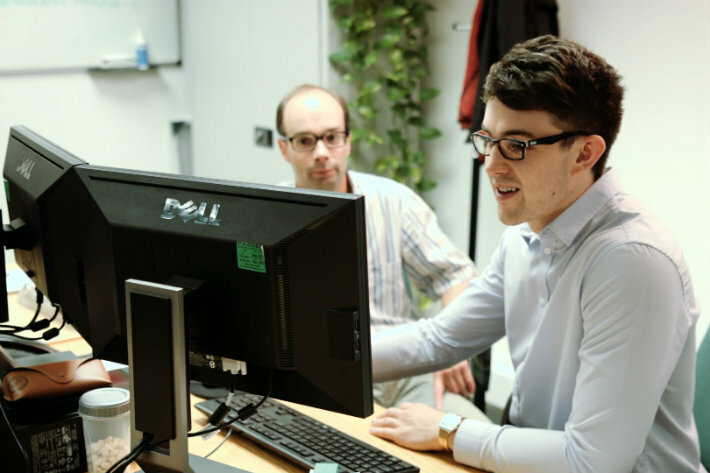 The course is run in partnership with industry, with students undertaking projects in partnership with global and local companies who employ data scientists. Previous graduates having undertaken projects with HSBC at their development centre in Stirling. For more information on the course, entry requirements and how to apply, please visit the Big Data MSc webpage.